Many people are unaware of the risks of blowing with compressed air. It can be difficult to understand that air can be dangerous. In its original state, compressed air consists of regular air, but it is no longer regular air when it has been converted to compressed air. 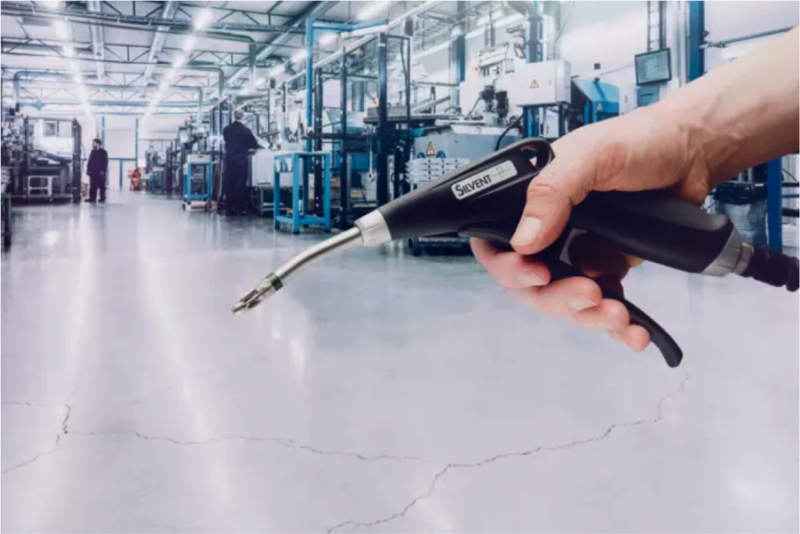 Compressed air has a higher pressure than regular, atmospheric air, which means that there are a number of potential risks if it is handled incorrectly. As a general rule, there are three risks associated with blowing with compressed air. 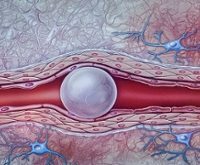 The first is an aeroembolism, which can occur if compressed air enters the bloodstream. This can occur if the operator is blowing compressed air on themselves or someone else. If the pressure becomes too great or the compressed air is blown directly against the body, the compressed air can get underneath the skin and into the bloodstream. This can result in serious injury with symptoms similar to a heart attack or stroke. Compressed air is used in industry for cleaning, and operators may decide to use compressed air to clean their clothes even if this is prohibited in many workplaces. OSHA, Occupational Safety and Health Administration, has strict rules about this. According to OSHA, only safe air guns may be used for blowing for industrial purposes. If this rule is violated, the company risks being subject to fines and penalties. The second risk with blowing with compressed air is hearing damage. Blowing with compressed air can result in elevated noise levels that can be harmful to both the operator as well as the surrounding persons. Both short and repeated blowing operations can be harmful and result in hearing damage and tinnitus. The damage can appear gradually, and it can be difficult to determine when and how the hearing problems developed. OSHA’s regulations also affect the approved noise level of a workplace. 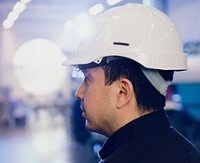 Workplaces that do not meet the requirements must participate in a Hearing Conservation program, which involves inspections, courses and the risk of penalties if the noise level is not reduced to an approved level. The third risk that is often highlighted in conjunction with using compressed air for blowing involves eye injuries and bodily injuries. As mentioned above, compressed air is often used for cleaning. This may involve a safety risk because smaller particles and dust can bounce back toward the operator. It may appear harmless, but most people who have experienced this annoyance liken it to having sand or an eyelash in the eye. The eyes are very sensitive and even tiny particles can create a lot of damage, which can also lead to impaired vision and, in the worst case, even blindness. With these facts in hand, it is easy to understand the risk of blowing with compressed air. Therefore, it is important to be aware of the risks that are actually present in order to design preventative measures to address them. 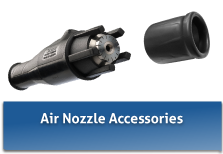 Silvent offers a range of SAFETY AIR NOZZLES and SAFETY AIR GUNS to meet the latest industry standards. Spray Nozzle Engineering team offer free advise to suit your needs. Contact us today! 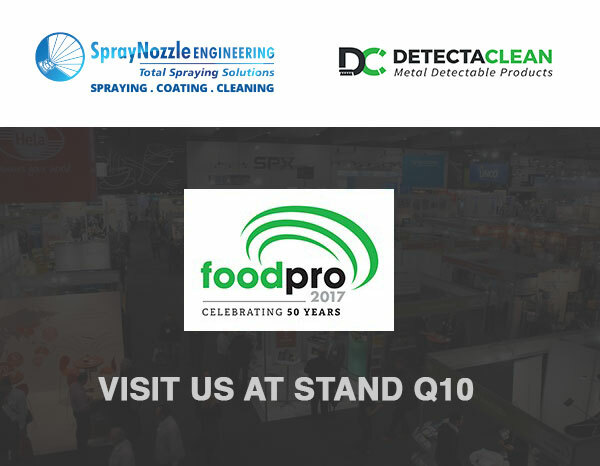 VISIT US AT FOODPRO 2017 Spray Nozzle Engineering will be at showcasing all your food and beverage industrial needs. Our sister range Detectaclean will also be at with a complete range of X-Ray Metal Detectable Product to improve safety and hygiene.